Where is MMS in your Chatbot Strategy? Unless you’ve been disconnected from the Internet for an extended period of time, no doubt you will have heard some of the buzz about Chatbots. Chatbots are big news right now. A Forbes article published recently, refers to a Forrester Research Report citing that nearly half of marketers and digital business executives surveyed for their H2 2016 Global Mobile Executive Online Survey, are currently using, testing or planning to use chatbots. The same article goes on to talk about brands that have been experimenting with bots since 2015 and discusses some great examples from the likes of Estée Lauder to AmEx who are using the technology in customer service applications (for example). Another interesting Forbes article on Chatbots, details some of the potential use cases, the benefits of having natural language conversations with customers – and the types of benefits to both brands/businesses and consumers. I have read plenty of articles like those above. Many of them discuss the use of Facebook Messenger, other messaging platforms like Kik, WeChat, WhatsApp and more, as well as SMS in Chatbots. For marketers and digital executives, or indeed those organisations who are providing Chatbot capabilities, MMS should form a part of your strategy. As discussed in one of our earlier articles, MMS is one of the simplest and purist forms of mobile communication. If you are engaging consumers via SMS, then you should also support MMS. And as we detailed in our article just last week, MMS is not just about broadcast – picture messages can also be received. If you are going to support SMS in your chatbot experience then you ought to support MMS as well. Indeed, your customers might respond to a SMS Chatbot conversation with an MMS anyhow so you should be ready for it! It makes perfect sense to allow MMS in your chatbot strategy – in customer service applications for example a picture speaks a thousand words! Why not allow the customer to send in a photo of their incident or service request by MMS? In the case of a broken appliance for example, it would only help with diagnosing the problem sooner. Not every customer is going to have a messaging App on their phone but practically everyone can send and receive an MMS. 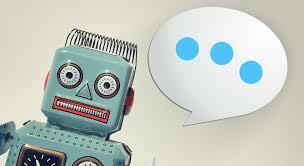 So where is MMS in your Chatbot strategy? If you are an agency or reseller wanting to add MMS to your Chatbot then please contact us for more information and rates. We offer the best MMS rates in Australia. If you have any other comments or questions, or would like to share your own successes with MMS and Chatbots, then free to leave a reply in the comment box below.